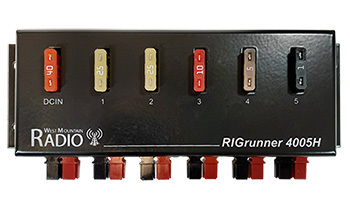 RIGrunner: DC Power Solutions Made Easy! 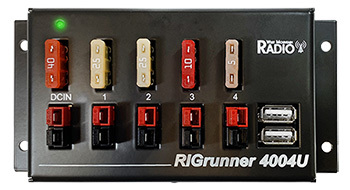 The RIGrunner product line offers the most convenient and safest way to connect all your 12VDC equipment to a power source. 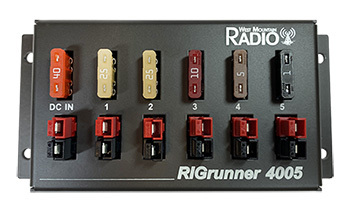 RIGrunner utilizes a 13.8VDC power panel with simple-to-use Anderson Powerpole® connectors. Standardize all of your 12VDC connections using the amateur radio ARES & RACES, RSGB, ARRL Powerpole® system. Contact us for alternate voltage versions up to 55VDC or for your custom RIGrunner requirements. 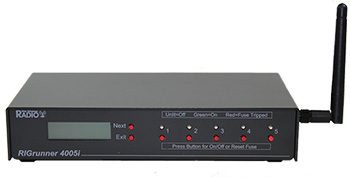 West Mountain Radio also offers network DC power controllers in the 4005i product line. West Mountain Radio offers RIGrunners for every station and every budget. The table below can assist you while determining which RIGrunner suits your needs. To learn more about specific models, click on the model name within the table. A Detailed RIGrunner Comparison Chart is also available.